The youth at the Club were privileged today to have a special guest come speak to them. Mr. Alton Perry, retired after 30 years with the N.C. Forestry Service shared with the youth the importance of the forestry service, the importance of our natural resources, and opened their eyes to potential vocations related within. Perry spoke to the group about all the amazing things we get from trees such as food, shelter, paper, oxygen, and lesser known items such as hair products, shaving cream, makeup and the substance that holds color in soft drinks. Perry also talked with the youth about something trees had provided him for 30 years...a job! Perry explained many different vocational opportunities that trees and natural resources provide and encouraged youth to start thinking now about their futures by making good grades and good decisions. Alton Perry takes youth on a nature walk, discussing with the kids how trees are living organisms just as they are. 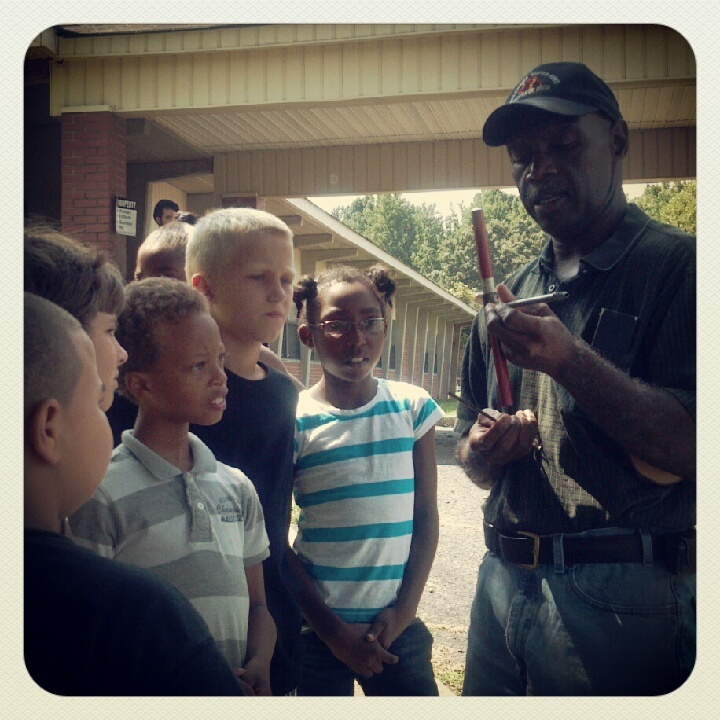 Mr. Perry shows the kids a "tree cookie," a tool used by the forestry service to determine the age of a tree. Mr. Perry shows the youth more tools of the forestry service.